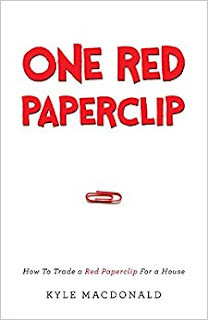 One Red Paperclip - How to Trade a Paperclip For a House is available from many online retailers, in both paperback and digital format. Made some cool videos with Kijiji in Vancouver about the Second Hand Economy. Enjoy ! 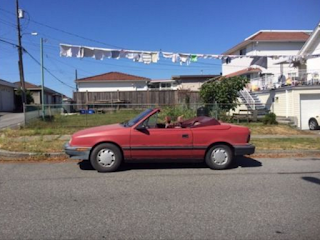 I'm giving away a Burgundy Convertible FOR FREE. No catch ! Perfect for SUMMER ! I've got many paintings and other artwork for sale on Ebay ! And much much more ! 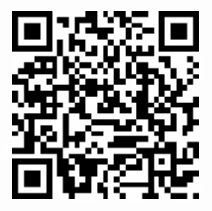 Check out http://stores.ebay.com/oneredpaperclip for more !!! 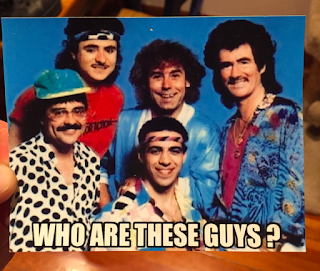 A rare "Steal This Magnet" magnet from my original production run in 2012. There are very few of these in existence. Be careful where you put it because when people read "steal this magnet" they will most likely steal the magnet. Has stolen his own magnet before.